The top tin carry green loose/leaf tea with natural jasmine buds and jasmie flavour - 50g. The bottom tin carry green loose/leaf tea from the high grown elevations of Ceylon -75g, no additives. Cup colour is yellowish green, light in cup. 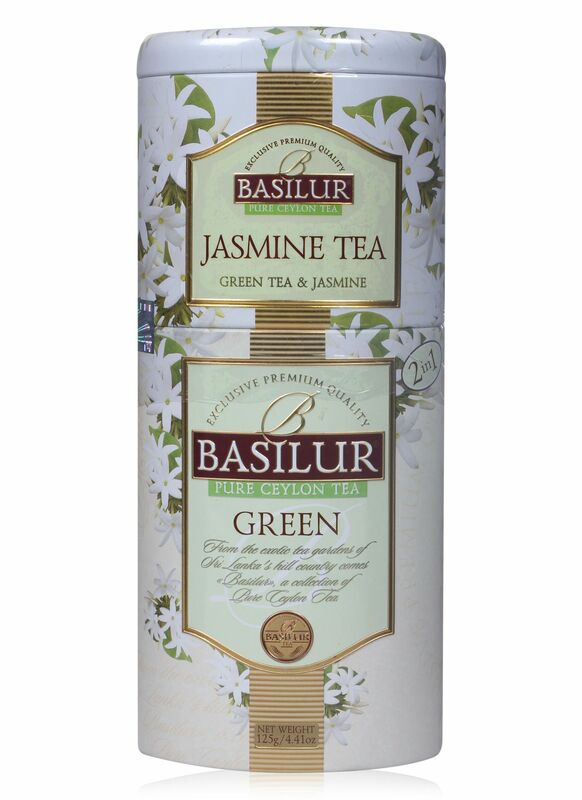 With pure Ceylon green tea as the base, this is an amazing combination of flavor and aroma of jasmine flower petals. This produces a sweet cup with a light and lingering scent of fresh jasmine flowers.A healthy and refreshing green tea with a light and soothing cup. Smooth and mild, this brew can be consumed all day through. 100% Pure Ceylon green tea at its best.